Action: The outside of Longhua temple on a festival day. 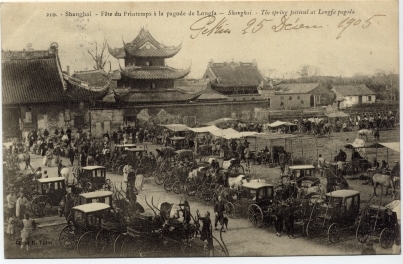 Numerous carriages (on the forefront), and rickshaws (against the wall on right), and refreshment stalls, indicate there is a crowd inside. See temple layout on no. 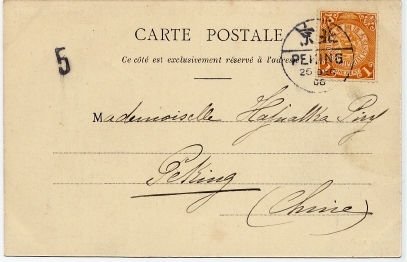 cn00392.